As the weather gets nicer we venture forth to parks and beaches. But there tends to be some anxiety for twin parents of “How do I do this?” Wherever you go with twins you need to think logistics and efficiency especially if you’re 2:1. Step 2: Realize that the first 2-3 times you may end up in tears of frustration. You are not alone, we all go through it. But if you can look at these trials as ‘not stops and never do it agains’ but as learning experiences of what to change the next time, then you’ll be okay, AND it all changes every 3 months of growth anyway so just stock up on Kleenex. Step 3: As soon as you’re cleared for exercise by your doctor, try to get out and walk with your multiples, even if it’s raining. Invest in some rain gear for you and your strollers. Step 4: Take small steps – determine how much time you have between feedings, diaper changes and naps. 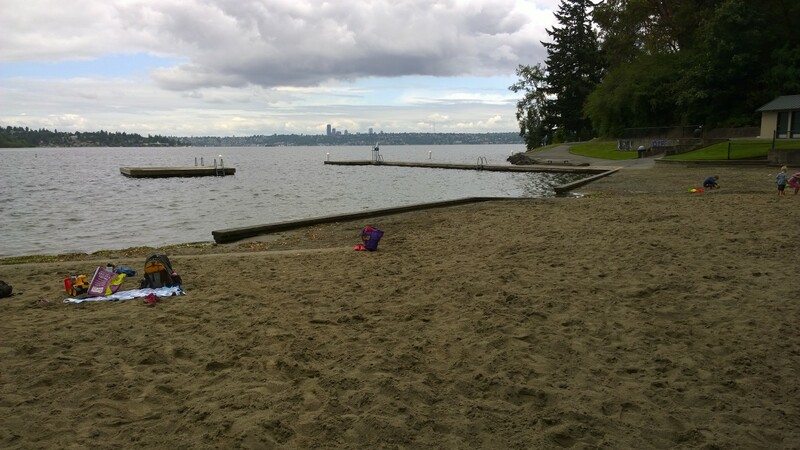 For example if I was going to Greenlake (from Kirkland – 15 min drive) to walk around the lake with the girls, I had everything packed in the car ready to go before I woke them for their 9am feeding (be sure to include snacks for yourself). I woke the babies at 9am, diaper changed, fed them both at the same time, burped them and was in the car by 9:40am driving to Greenlake. I would be at Greenlake by 10 am, walking by 10:05am. Most of the time they would fall asleep on the way over but if they didn’t they’d fall asleep while I was walking. I knew I had 1 hour to walk around that lake, get back in the car and get them home by 12 to feed them again. (I had one girl who would projectile vomit and had feeding issues so I didn’t want to feed anywhere but home. However I did take extra bottles and I did have music blaring when I was late. There was plenty of times when I was crying on the 520 Hwy with screaming kids listening to their favorite Howdown music by Miley Cyrus (not sure why they liked that one). But I did it anyway because that 1 hour walk was gold. I would only do one ‘outing’ a day i.e. meet someone at Greenlake, go to the dentist, or to the store, AND I would only do that in the morning – the 9am time slot. My afternoon activity was a walk at the 4pm Witching Hour in which I would walk to nearby parks or just walk around my neighborhood (Yes I did walk twice a day, it was the only way I kept sane). *It is important for you and your babies to get outside and breathe in some fresh air. You will find that the babies will sleep better and your stress level will decrease, a small bit. In addition, first try walking on your own with your babies and then when you have your schedule and your logistics down, then ask another multiple mom to walk with you. Multiple moms will most likely be on the same schedule and they will totally understand if you bail at the last minute. 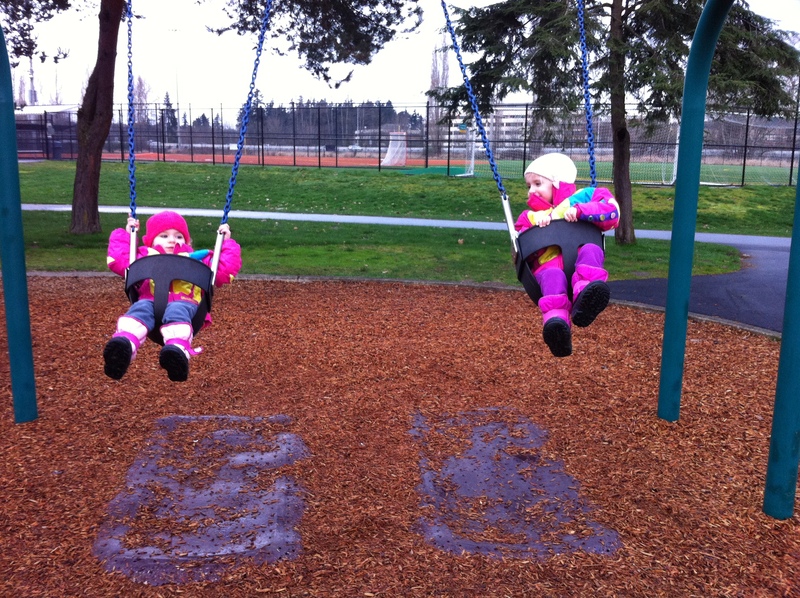 As soon as my twin girls could hold their own head up I went to the local parks and put them in the swings. I figured if they liked the stationary swing they’d love the outdoor one with things to look at. If you go to a big park and you see that strollers are left at the side or on pathways – just bring your stroller right up to the swings (you have multiples and if you get stares – just shrug and say the magic word – twins). This also enables you not to turn your back on one baby (heightening your anxiety) and you will have easy access to your stroller aka ‘safety net’. 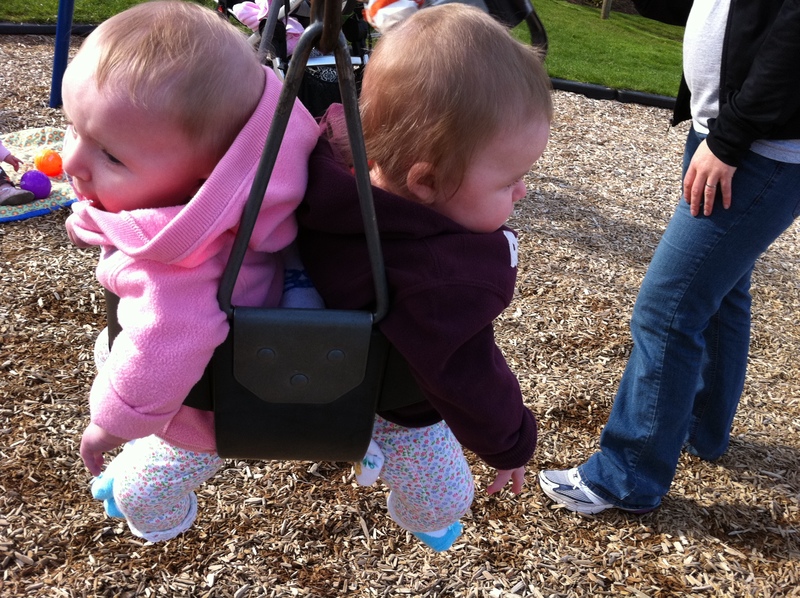 To save pushing – place both babies in the swing. See photo above. Stuff a blanket in between them so they don’t knock heads. Also it’s a good idea in Seattle to bring a small towel to wipe off the swing if it’s just rained. Crawling up the stairs at Waverly. Age 1 yr 3 mths. As soon as they are crawling continue to go to the parks. Either keep one in the stroller or keep one in the swing (so they are occupied). 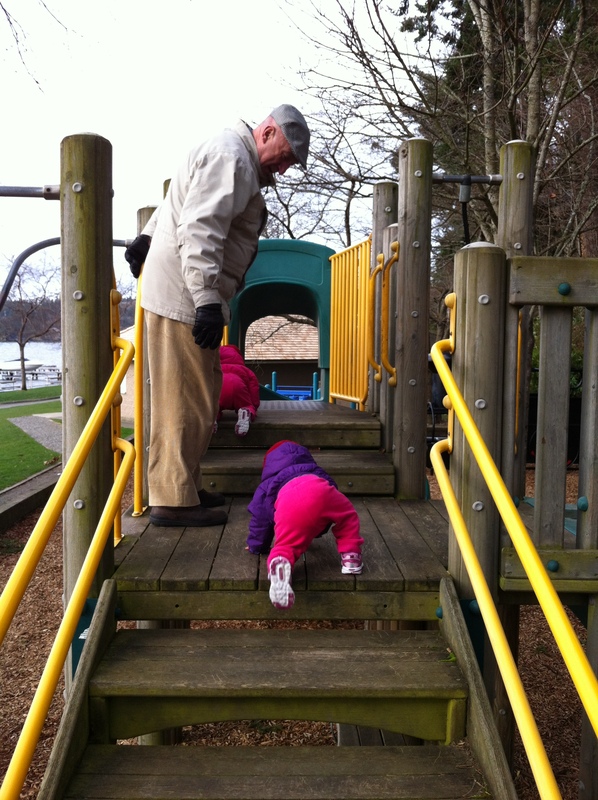 Allow each child to explore the park on their own terms. Yes you’ll have to keep an eye out for the one in the swing, go back and forth to keep swinging the swing (Note the park will never be a time to actually talk to other parents. If you go with a multiple mom/dad they will understand). Also this is a great opportunity for your twins to learn ‘not to eat sand’ because it tastes bad. If your crawler meets with the sand box and tries sand – this is an experience that you’ll have to embrace. It’s not going to kill them and you might as well get it over with. This goes along with the cedar chips too. We all have different parenting styles – I would allow them to do it once and when they put it in their mouth I said “gross” and made a face. You will have to go through this experience again with the other one or two or three depending on how many multiples you have. Just remember they have to learn sometime. When they are walking it gets a bit scary because they both go in different directions. Safety does become an issue. Try to encourage one direction by creating energy and fun, to entice the one going in the other direction it’s more of a party over here. i.e. “Wow look what your sister found. It”s a … ” Use your most exciting voice. You can also start working on safety rules right at 9 months, then they have an idea of the tone of your voice when safety is an issue (you can play red light and green light when they’re crawling) . My philosophy is if an action really won’t hurt them that much i.e. no broken bones or head injuries but delivers a scraped knee or a scare – i.e. falling through one of the spider web ropes it’s probably a good learning experience. However I do freak out when they’re too close to an edge and may fall off. I just look at the situation. I was fortunate that I would be able to say to both girls “Please wait that is a tough climb or that’s a big girl activity and wait for me to have your back.” Till this day, if the girls feel like they are embarking on something tough – they’ll just say “Mummy can you have my back.” I don’t actually do anything but I just stand at their backs. Crawling Parks – any open field. Put a blanket down as your base, then have pylons or toys they could crawl too. You can also set up an obstacle course. 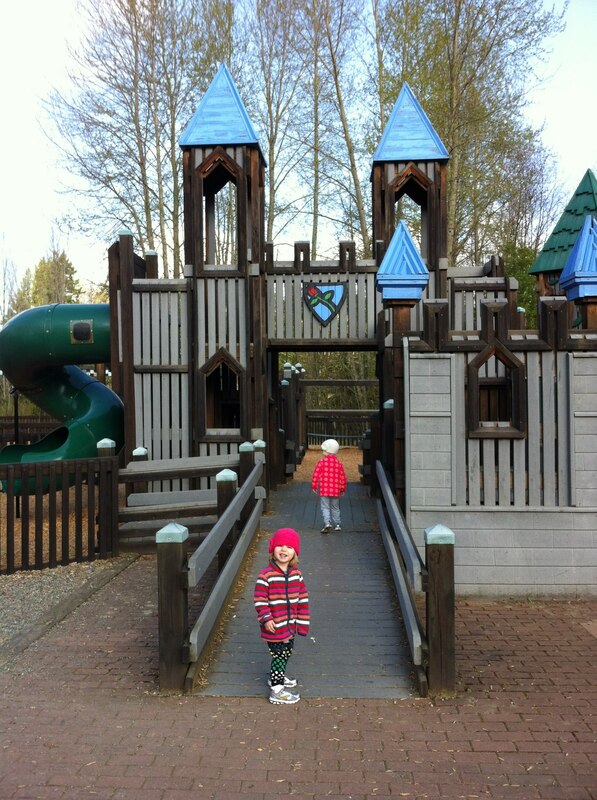 Saint Edwards State Park (Bothell) – A fantastic play area – it’s a castle. Within the Castle there is a tot-lot area with a fence but no gate at the entrance – see photo. 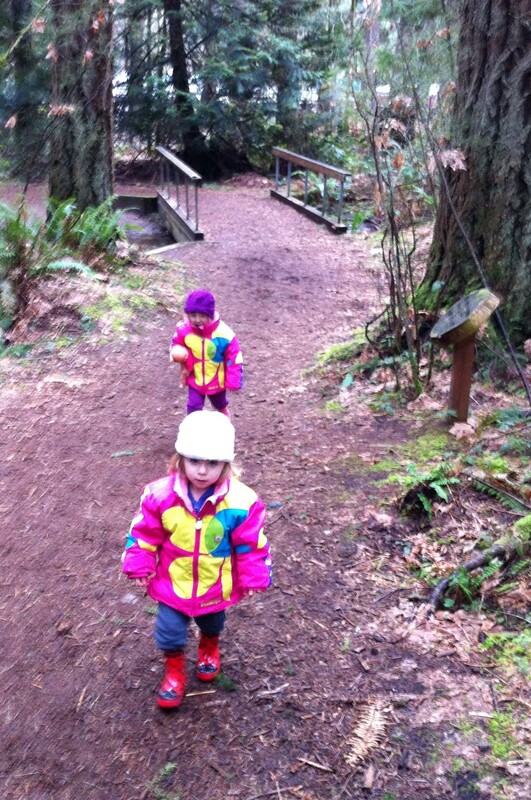 North Rosehill Woodland Park (Kirkland) – Another amazing wooden castle. Parking is on side roads off 124th and you will have to walk through a path to get to the park. However once inside the ‘castle’ there is another tot lot for smaller children but again there is no gate. It’s fenced and you can sit at the entrance as to not allow stragglers to venture out (same as St. Edwards). 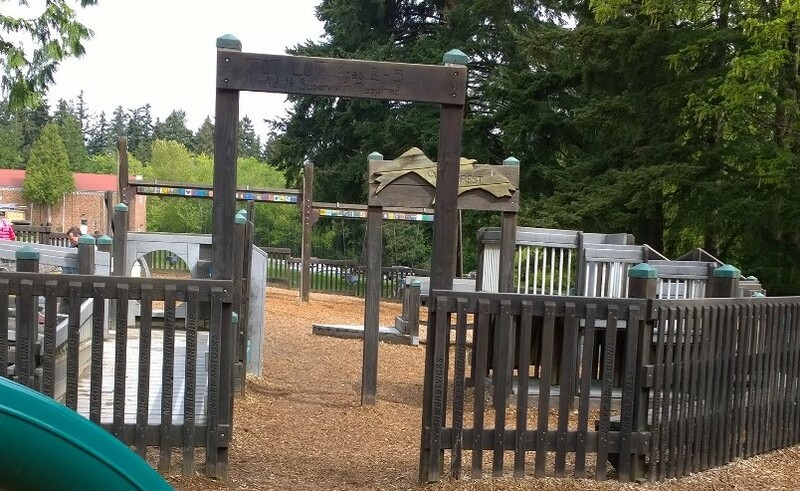 Volunteer Park (Seattle) – the play area has a fence around it and it’s adjacent to a field, but has no gate on the entries and exits. The parks listed above are ones that you can practice and test how your kids will act and how you can cope. For this park you park in General Parking and then walk down a steep hill. If you have children under the age of 3, I would suggest a stroller because it’s very steep. There is plenty of green space, a small playground right on the beach, and the water is shallow. There is lifeguard on duty in the summer months. If the weather is cool – this park is cold so bring sweaters. As parents you will need to bring lawn chairs or blankets if you want to sit on the beach as the benches provided are all on the grass area away from the water and play area. The girls had loads of fun here with our friends and we’ll go back when the weather is warmer. This is a fabulous park. Be sure to park in the main entrance close to the play area. There is a short path to the play area and a lovely swim area. The play area has a variety of play structures – zip line, spinners, toddler area – no fence, clean and convenient restrooms, and umbrellas on picnic tables for shade. Note: This park has no shade and when it’s hot the slides become extremely hot. Be sure to bring hats and sunscreen. Miners Corner This park is very new, has a great sand area for the kids who love to play sand castles. The base of the play area is the squishy flooring which provides a lot of support and is not slippery when wet. Miners Corner Park Cushy Flooring and mostly fenced in. Fox Hollow Family Farm – a great toddler petting farm, with a fenced in play area (no gate) and miniature play houses for toddlers. Be sure to bring a stroller that can travel on gravel. Squak Valley Park– a short drive from Fox Hollow Farm. A big field and fun play area but it is close to a parking lot. 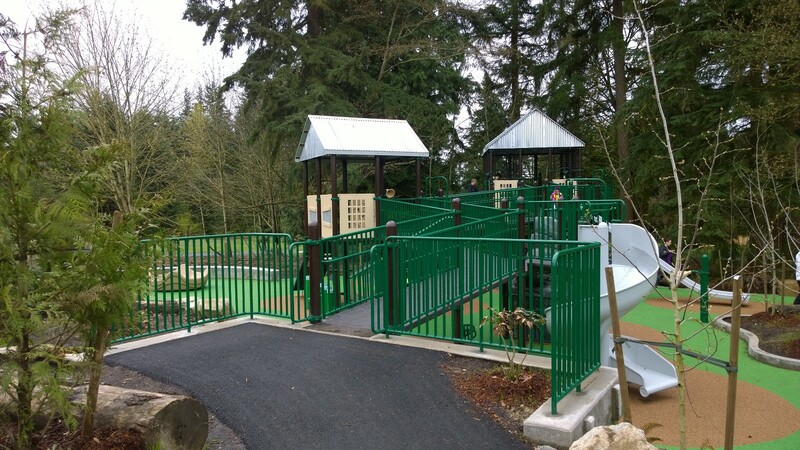 Cougar Mountain Zoo – very stroller and kid friendly, small enough to practice without a stroller. Crestwoods Park – this park also has a great hike for kids. However the hike is not stroller friendly. It’s for toddlers who like a good walk. Idylwood Beach Park – you’ll need a stroller or wagon to carry your beach gear. There is a bit of a walk down to the play area and beach. We love this one! Farrel-McWhirter Farm Park – there is also a child’s ‘hiking’ trail you can try walking through and the farm animals are always quite fun to watch and interact with. 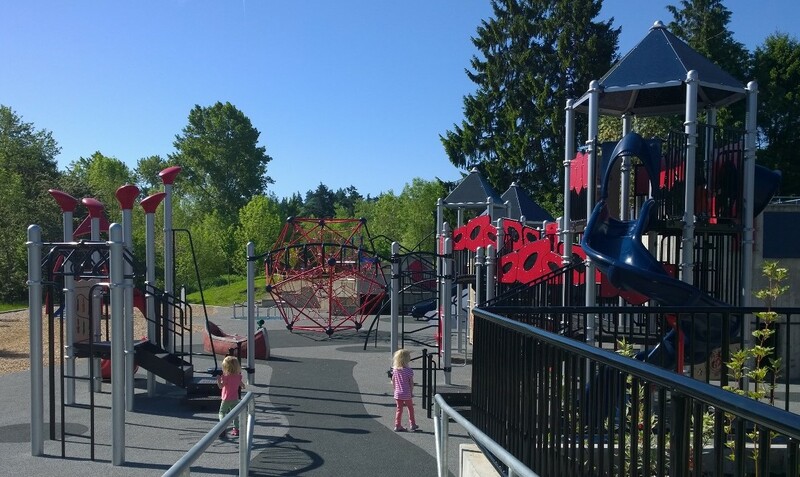 Marymoor Park – there are 2 playgrounds – one small one which is very isolated from roads (tucked behind the parking lots D and B) and the other one is by the Subway and soccer fields – it’s the first left off West Lake Sammamish Pkwy (Lot K). Be sure to bring $1.00 for parking. A fantastic park – excellent swim area with three partitions – one for the toddlers, one for the children who can swim but still working on their strokes and then a deep end. When the lifeguards are on duty the children under 13 must pass a swim test. The sandy beach really isn’t great for ‘playing in the sand’ as the water covers most of the sandy beach and the beach is mixed with gravel. The parking lot is somewhat of a distance from the beach so a stroller or a wagon would be a good idea. There are clean bathrooms between the parking lot and the beach. 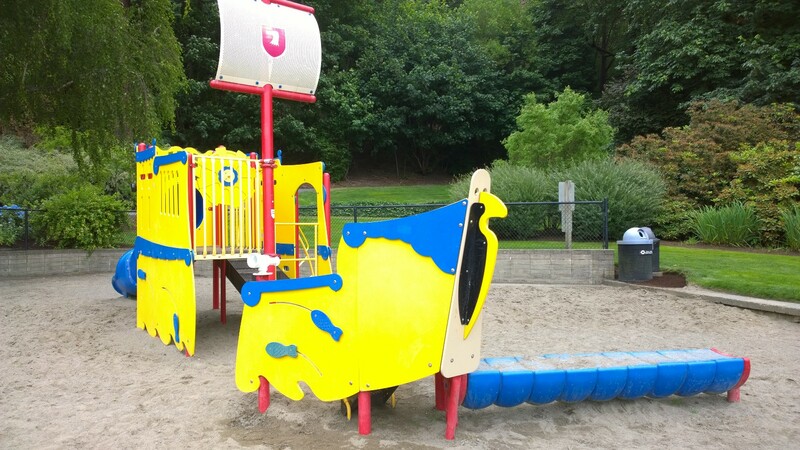 There are also two play structures – one for older children and one for toddlers. 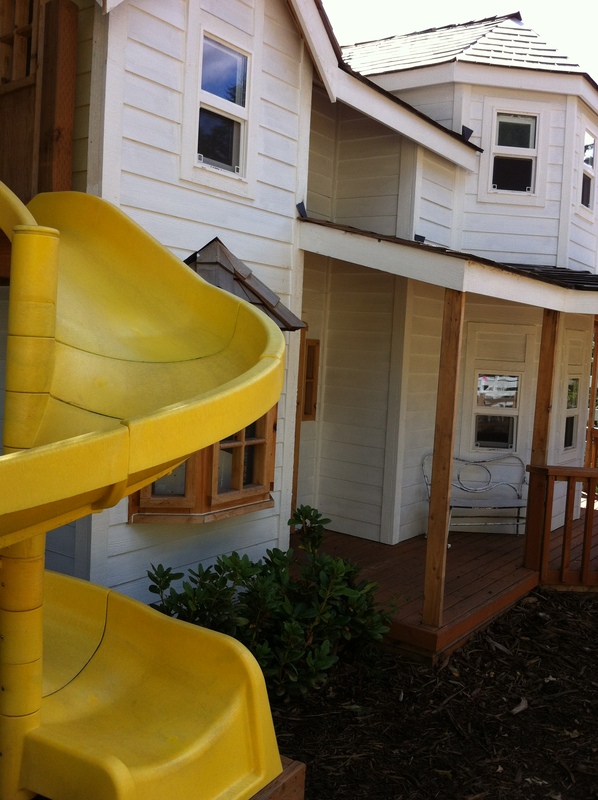 The play structures have loads of slides, and unique climbing apparatuses – very different from the ones above. This park is protected by high pine trees so it can be a bit chilly. There are plenty of picnic areas with coverings along with a large basketball court, climbing wall and baseball diamond. Its probably my girls new favorite play structure park. *Note the directions on Nokia Maps and Google Maps list Pine Lake Road as a turning point but it’s SE 24th St. You will see a sign that says Pine Lake Park but it can be hidden by branches. 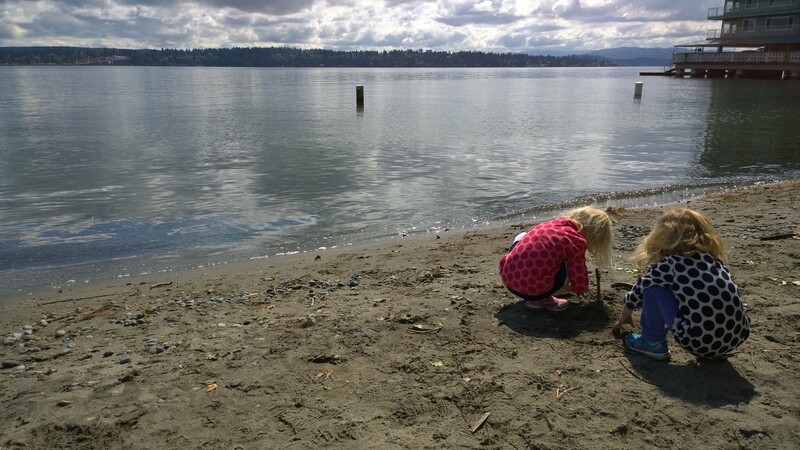 Alki Beach – a lovely beach. 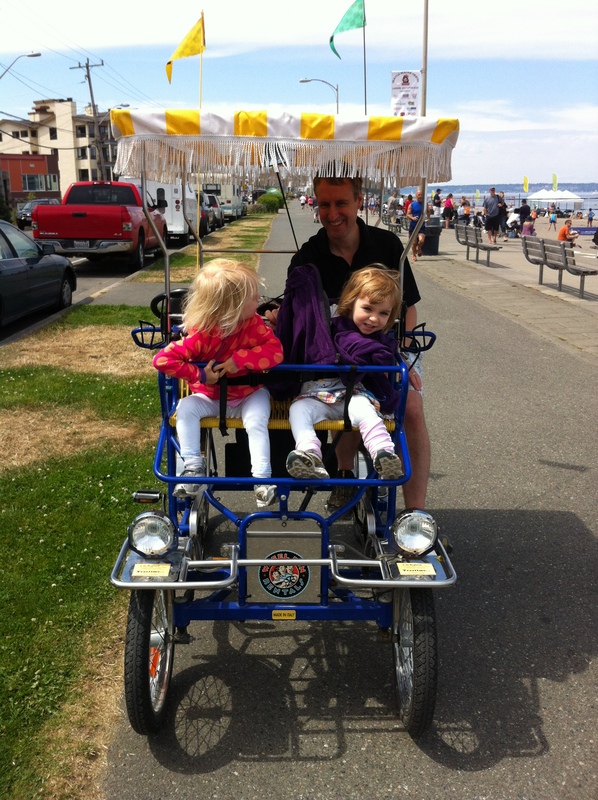 You can put your kids in the front of a bike and cycle the boardwalk! 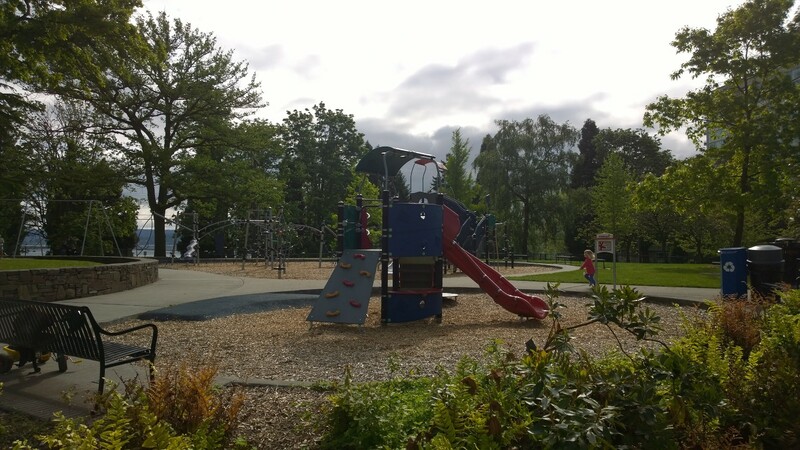 Carkeek Park – there is a slide that is in the form of a large Salmon, trains and a beach! Lincoln Park – be sure to park close to the big play area, then it’s an easy walk down to the beach. 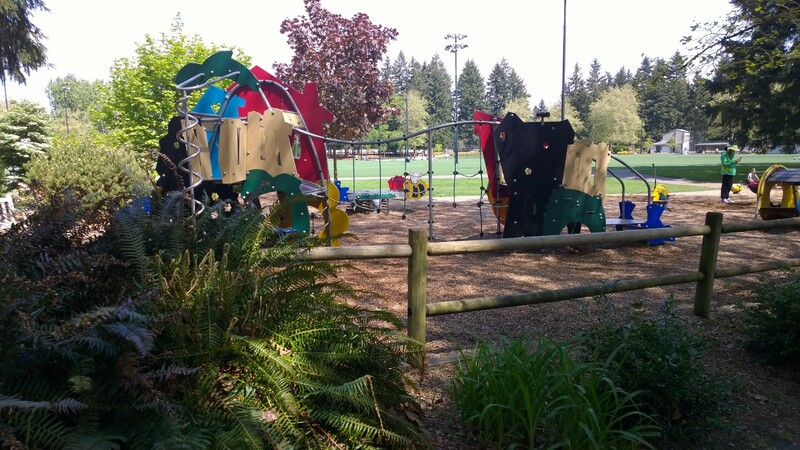 Madison Park – This is a fabulous park for 2-12 years of age. There are three segments – a 2-5 year old area, a 5-12 year old, swings for all and a zip line that my girls loved. It also has stone carved animals that kids can climb on, loads of seating for snacks and you can easily cross the street to the beach and swim or cross the other way and enjoy an awesome scone at Madison Kitchen. Wilmot Gateway Park– the park is tucked back to the right of the parking lot. There isn’t much parking right at the park but there is plenty across the street and there is a crosswalk. Cottage Lake Park – a large play area, ropes course for an older child or adult and an outdoor pool. I will continue to add more parks as the season goes on as the girls and I test them out. If you have a favorite, please let me know and we’ll try it out and then post. Took the boys off to St Edwards park in Bothell the other day and it was fantastic! Thanks for the great list of parks, it’s super handy. We’ve got an enslaught of school aged cousins arriving in a couple of weeks so I’ll be working through your list of parks to get them out of the house. Hands Free, Waterproof, No Stink, Durable Collars & Leashes…for dogs!